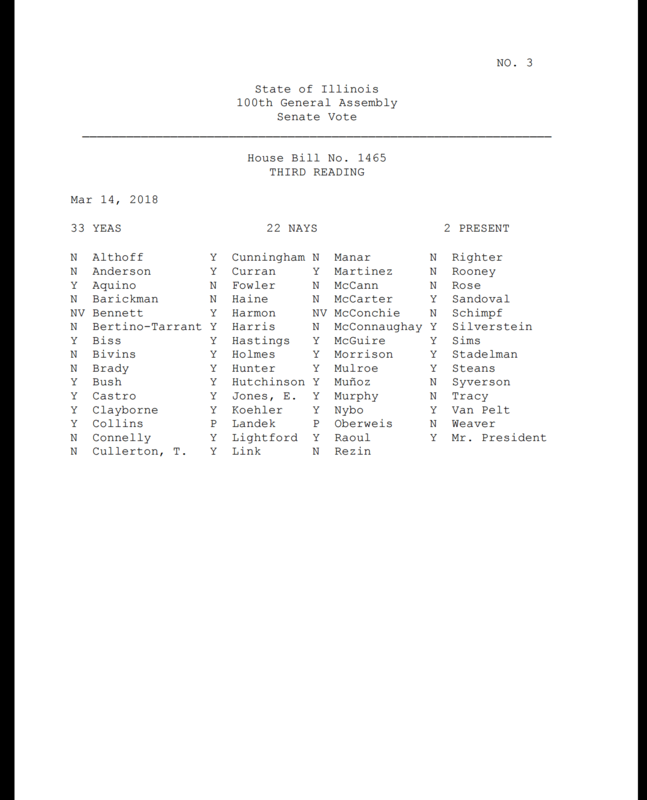 You may recall black Wednesday a few weeks ago (Wednesday February 28th) when the Illinois House of Representatives voted on various anti freedom anti gun bills. 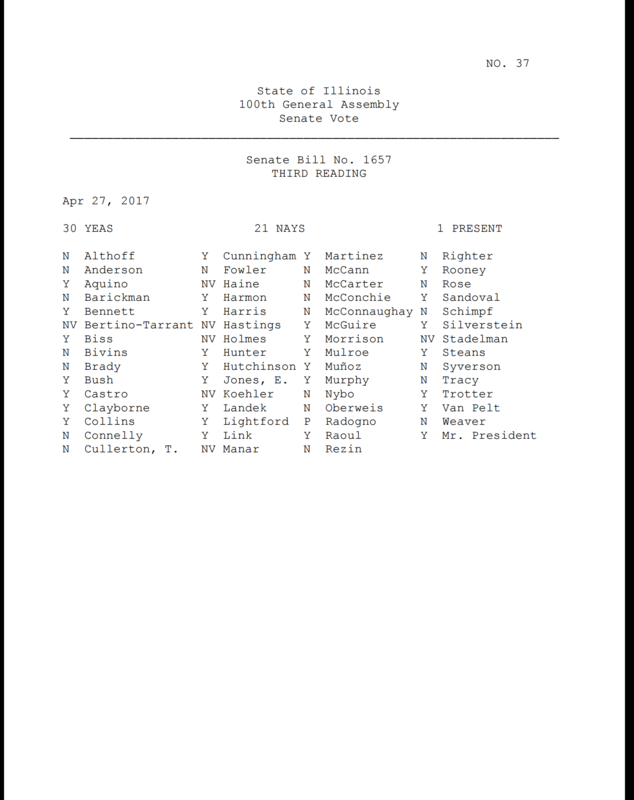 Today, the Illinois Senate voted on several of the same bills, and some new infringements they mixed in just for fun. It is important we, as voters, understand how our elected officials voted to either keep our rights or chip away at our rights. The bill HB 1465 is a so called “Assault weapon” ban for persons less than 21. 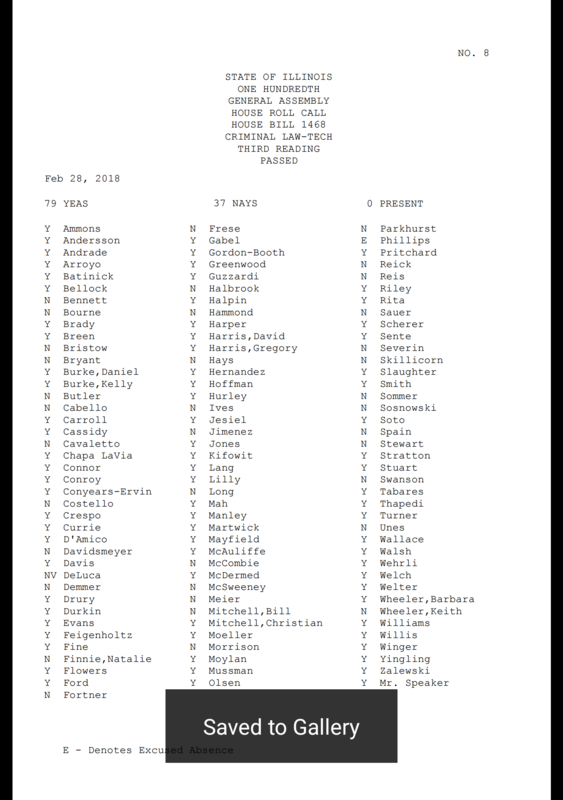 This bill bans persons 18-20 from purchasing or possessing semi automatic long guns and magazines. This is a broad bill, and though some exemptions were added can still make your child an accidental felon. 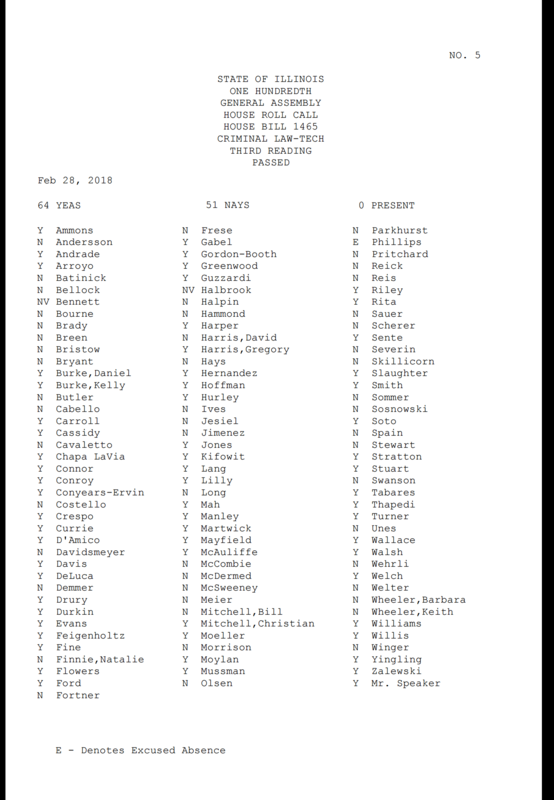 The Bill HB1467 is a broadly written bump stock ban which may affect trigger modification, however through amendment trigger cranks were removed from the bill. 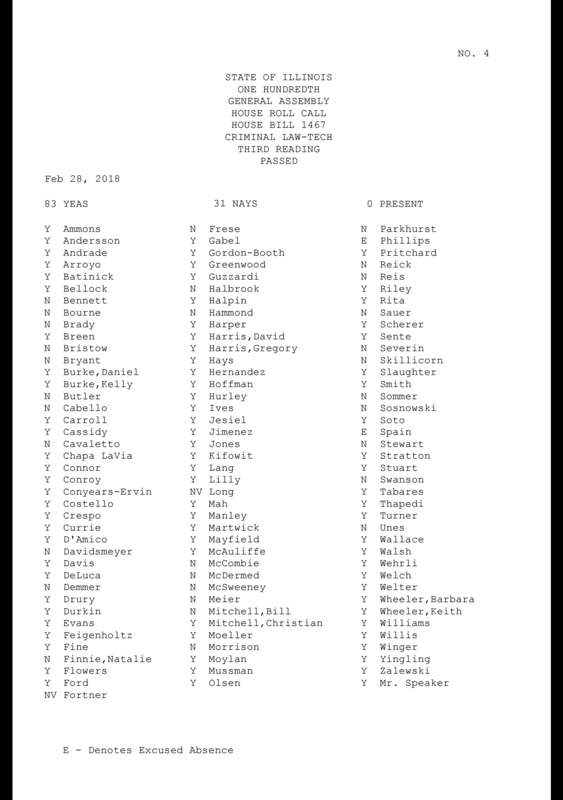 Though the bill got worse, because also through amendment this bill will remove preemption of so called, “assault weapon” bans and return home rule powers the ability to ban semi automatic long guns. The Bill HB1468 increases the waiting period for long guns from 24 to 72 hours. 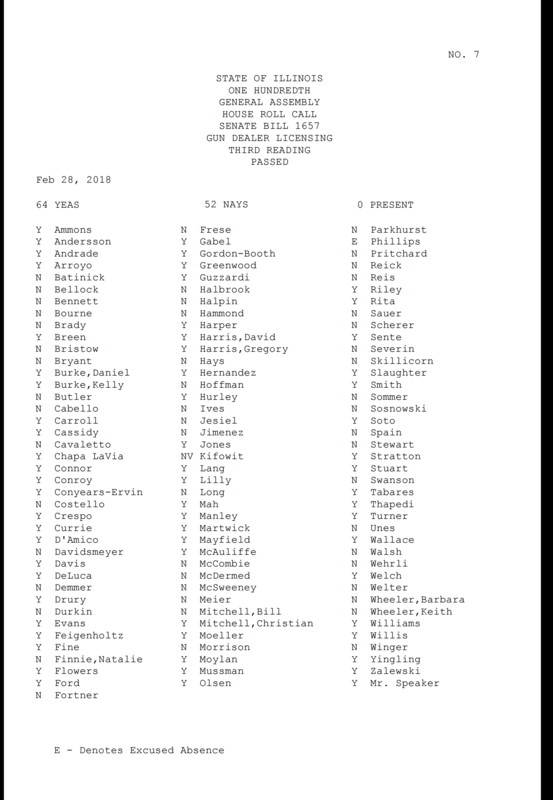 The Bill SB1657 created redundant licensing for gun dealers and would create over bearing requirements for gun dealers to operate, forcing some gun dealers out of business. 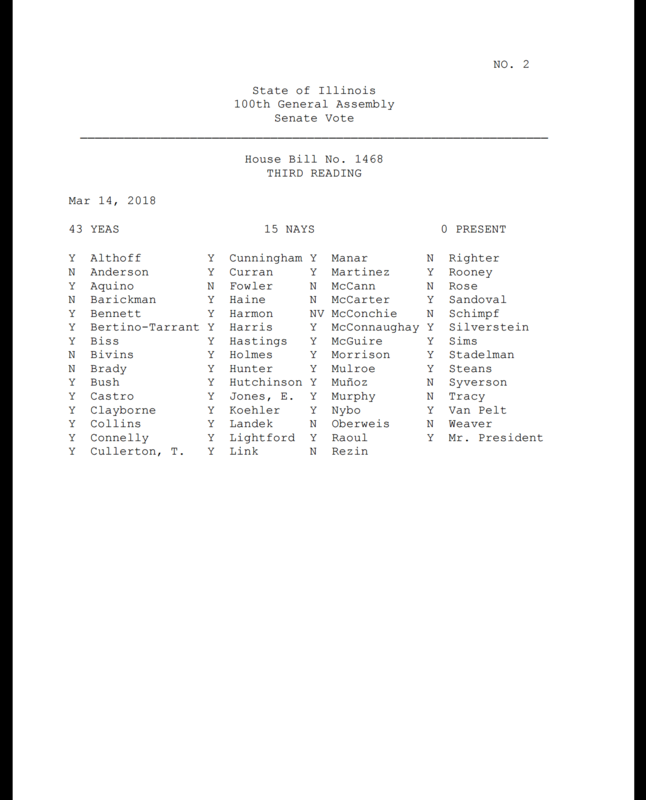 Further this bill would create a deficit for the Illinois Department of Financial and Professional Regulation as the licensing fees wouldn’t cover the expenses incurred by the department. 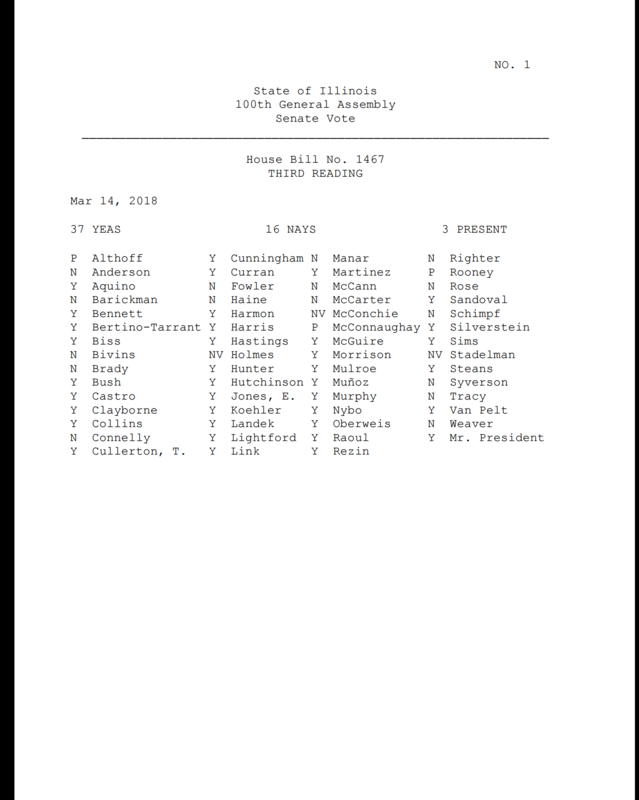 Please Note the Governor has vetoed this bill, and it will be called for veto over ride. Often voting history will dictate voting future. Keep this in mind when choosing your state representatives and senators at the voting booth.